Another difficult time was this. Jordi had lost against Ahvala in 1992. 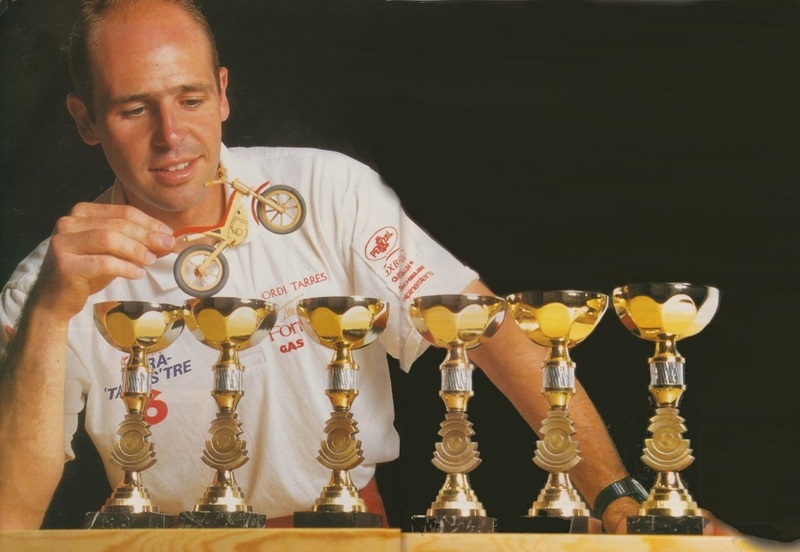 It was a challenge to win another World Championship and we won three subsequent Championships. 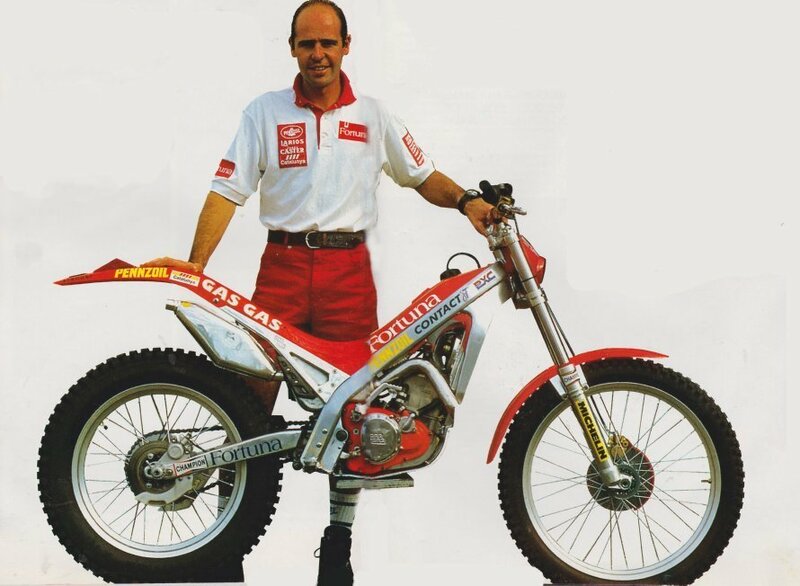 Did you have any other big problems with the bike or the engine ? 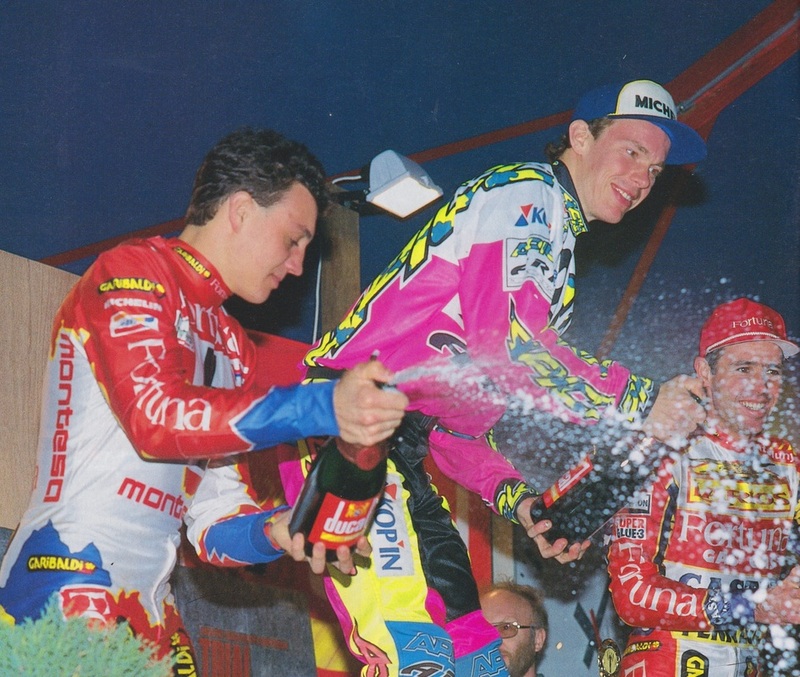 Jordi had a big crash in Belgium at Bilstain in 1995 on a very very big hill with step. This was very dangerous, very dangerous and one time Jordi have a big big crash on this section. When we arrive later at this section we were all very worried about this section. Please please be good to us. If Jordi won the trial were you paid more money ? For the final of the year, yes. Did Garibaldi measure you to tailor the clothing to you ? Yeeesssss. Yes, they measured me. I wore the same clothes as him but in my size. It was exactly the same, the only thing that I didn’t use was the suit. You were representing Gasgas at the trial. You must have had to conceal problems with the bike at the trial ? Everyone does it. Everybody, everybody Mecatecno, Fantic, everybody BETA. Is it because his back hurt ? No, no because you develop a fear. The first fear is to fall over the handle bars, you get tangled up with the bike. He developed fears when going downhill, but only towards the end.